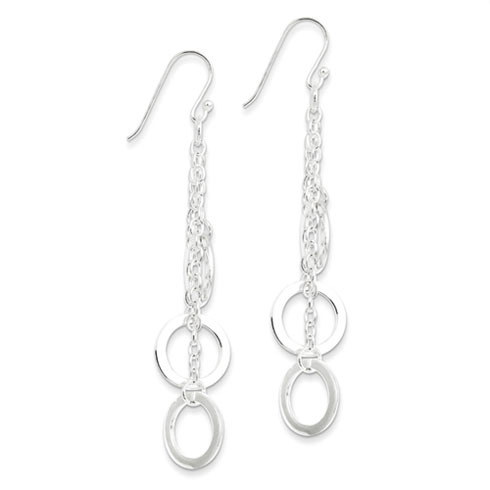 Rope and circle charm dangle earrings are made of polished sterling silver. Measures 3 3/16 inches tall. Shepherd hook. Weight: 4.09 grams.